I’m sure you’re familiar with Goodreads, right? 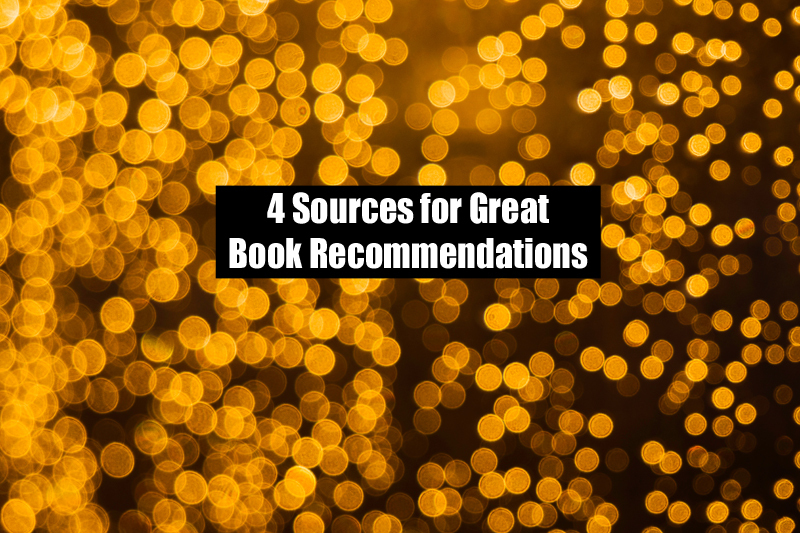 I use this site quite a bit and I love that you can create your own book lists that others can add to or submit a request for people to recommend a certain type of book to you. I’ve gotten a lot of good suggestions that way. The social aspect of this site is what I love because I know I’m getting recommendations based on what readers (who I’m familiar with) actually thought. This site allows you to type in a book or author that you like and then it will bring up suggestions based on your entry. You can also create your own account and start creating your own lists to help diversify the community suggestions. Let’s talk about how much fun this site is- especially if you’re a mood reader. I’m very much a mood reader so I play on this site a lot. You adjust scales based on how happy/sad, fast-paced/slow, funny/serious, you want your book to be and then the site will bring up books that fit your mood criteria. You can also explore book lists like ‘weird and wonderful’ or ‘laugh your pants off’. The only purpose of this site is to offer recommendations so it’s very simple to use. It is also really visually clean and appealing showing images of book covers for you to click on. Where do you like to get your book recommendations? I am in two books clubs so often my book recommendations are coming from other club members. The problem with person to person recommendations is if I don’t like a book it makes it tough to tell my friend that. I also keep track of my reading log on Goodreads. So I take a look at the recommendations of other Goodreads friends and add books to my WHAT TO READ category from there. Lastly, I like to read award books so I pay attention to books that are potential winners and actual winners. My favorite categories of awards are the Printz Awards (for best YA books of the year) and the Pulitzer Prize for Literature. Every single Pulitzer has knocked my socks off. @Anne yay! Glad to see another book awards reader. I can’t say I’ve loved all the Pulitzer winners I’ve read though.